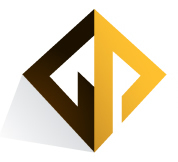 Welcome to Gold Acceptance's Website. Gold Acceptance is an automotive finance company specializing in auto loans since 1989. We provide alternative financing for people who are looking to buy a car. Gold Acceptance strives to build partnerships with car dealerships to provide them and their customers with the best service in the business. At Gold Acceptance we truly treat our dealers as partners and we work together to provide cars and financing to our customers so that everyone ends up with what they need.